ENTER DAILY FOR A CHANCE TO WIN ALL SUMMER LONG! 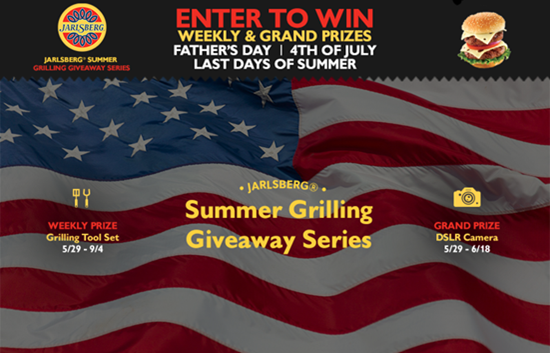 Jarlsberg® Cheese is celebrating the return of summer – and the grilling season - with the Jarlsberg® Summer Grilling Giveaway, a summer long giveaway series for fans who adore their outdoor cooking and lifestyle! 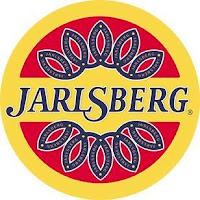 · Jarlsberg cheese summer grilling series running from Memorial Day, May 29, 2017 through September 4, 2017. · Father’s Day Giveaway of a DSLR Camera, running from May 29, 2017 through June 18, 2017. · 4th of July Giveaway of an outdoor Patio Set, running from June 19, 2017 through July 4, 2017. The Jarlsberg® Summer Giveaway Series runs through September 4th, winners will be notified by email. • Jarlsberg® Cheese is famous for its characteristic mild, mellow and nutty taste and its large round holes. • Jarlsberg® Lite Cheese Lite has the same mild flavor as regular Jarlsberg® Cheese with 50% less fat and 30% fewer calories, than regular Swiss cheese. This reduced-fat variety of Jarlsberg® Cheese has the characteristic large round holes, with a lower fat content – perfect for those days when you crave the sweet, nutty delights of Jarlsberg® Cheese but need to watch your diet. 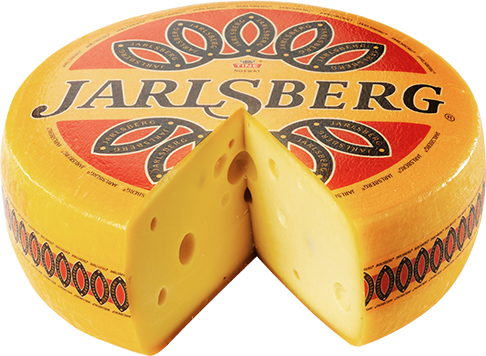 • Jarlsberg® Hickory Smoked Cheese has a piquant smoky taste, and like most smoked foods has a darker, browner surface. It's cold smoked over smoldering, hickory chip embers, this hickory smoked flavor will enhance your cold or hot foods, with its deep, smoky charms. Jarlsberg® Cheese was founded in 1956, and still remains the go-to cheese in the U.S. and abroad. With its slightly nutty, mild flavor, Jarlsberg® Cheese is a staple in kitchens from coast to coast, and is used as an on-the-go snack; melted in recipes or on BBQ favorites, and on sandwiches. Naturally Gluten and lactose free, Jarlsberg® Cheese is also available in many flavors, including Jarlsberg® Lite and Smoked Jarlsberg®. In 1956, we created Jarlsberg® Cheese, using an original Norwegian recipe. Why does Jarlsberg® cheese taste so mild, nutty and delicious? It's all part of the legend...and Norway's most guarded recipe!